All transactions are safe and secure with a reliable history in online purchasing behind each of our associates. Buy the Scarface Blanket to own Scarface clothing and merchandise. Let Tony Montana protect you from the cold with this comfortable Scarface blanket. 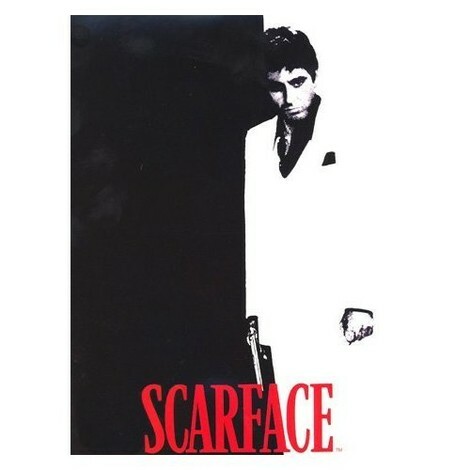 It features the classic Scarface movie poster art, and it measures 60" X 80" in size (twin). It can be machine washed and dried. Now available online, it is manufactured by Hollywood Handbags Inc. This licensed mink blanket is a great gift for any fan of the movie, especially yourself! Grab a bowl of hot popcorn, and curl up on the couch with your Scarface blanket during your next chilly winter movie night at home. In addition to the Scarface Blanket above, browse the Scarface Clothing Gallery for more apparel like men's and women's clothes, kids shirts or hoodies.